How can I download ARD Mediathek Video or audio for playback offline? Get Bigasoft Video Downloader Pro to download HD video from ard.de and ardmediathek.de to playback anywhere and anytime. The ARD, the world's largest public broadcaster, provides online radio and TV broadcast. However, they delete or remove some contents from their sites. So you may have tried to download certain video or audio for backup. Fortunately, if you are eager to download ARD Mediathek video or audio to save as a copy, Bigasoft Video Downloader Pro could be a perfect solution. This professional ARD Mediathek Downloader - Bigasoft Video Downloader Pro allows you to download ARD all online movies, music videos, streaming news and audio directly to avoid losing quality. In addition, the downloaded ARD media can be saved in any format you desired for viewing on any player. Firstly, free download and install Bigasoft Video Downloader Pro. Run this program. Both Windows and Mac versions are totally free and clean. Download any video or audio from Ard.de homepage, ARD ardmediathek, ARD daserste, ARD tagesschau to playback offline. Batch download HD online videos at up to 10x normal speeds. Save ARD Mediathek video or audio to MP4, AVI, MP3, M4A, MOV, MKV for playing with any player on computers, Android, Windows OS or iOS tablets, smart phones or TVs. Rip or trim audio part of the ARD Mediathek media or other local videos to MP3, AAC, AC3, M4A, WMA, WAV, etc. Capture live streaming with best quality and save it to MP4 with build-in recorder. Copy the URL of the ARD Mediathek video or audio which you want to download from the address box of your browser, then paste it to the URL box on the main interface of Bigasoft Video Downloader Pro. 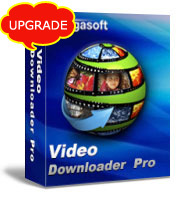 Bigasoft Video Downloader Pro downloads video or audio in its original format to keep the best quality. If you prefer to download and convert ARD Mediathek media to your desired format, like VOB for burning to DVD, click the small triangle to the right of the "Automatically Convert to" and choose your desired format from the drop-down profile menu. After all settings are done, click "Download" button to start the ARD Mediathek downloading. Right-click the item in Activity panel and choose "Locate Downloaded File" to get the downloaded ARD Mediathek video. Besides downloading video, audio or playlist from ARD, Bigasoft Video Downloader Pro also helps to download online media from other more than 1000 popular video or music sites, including YouTube, Facebook, Vimeo, Dailymotion, VEVO, MTV, etc. Download and enjoy this all-in-one online video downloader now.